In the days of segregation, African Americans had to refer to The Green Book to find places to safely stay overnight when they traveled. And a three-story, Victorian house in central Springfield was on the list. I’m standing on North Benton, just south of Chestnut Expressway between the Jordan Valley Community Health Center and the Springfield Municipal Court building on what was the site of Alberta’s Hotel. It’s just a parking lot now, but the history of this place extends way beyond the pavement. Alberta Northcutt Ellis opened her hotel the early 1950s to provide African Americans travelling along Route 66 a safe place to stay. It quickly became a hotspot for families and entertainers. Her grandson, Irv Logan, who lived and worked at the hotel for a time, remembers interacting with the guests. "That was the part that I enjoyed the most, y'know, because you never knew who was going to come. And I had the opportunity to meet people then as a youth that I had no idea who they were coming from out of town or how important they were, you know, any of that. I just knew that they were interesting,” said Logan. 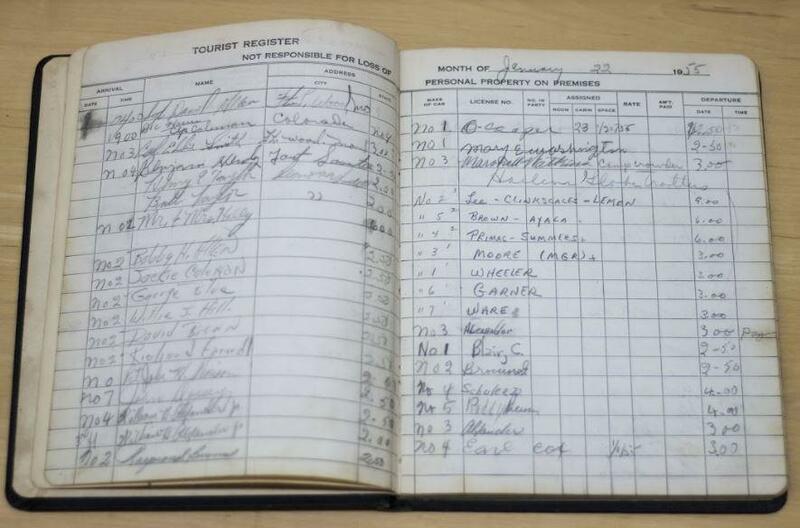 During its heyday, the hotel was listed in The Green Book, a travel guide for African Americans who were prevented from staying in certain hotels due to discriminatory laws based on race. The Green Book was published from 1936 to 1967. But it’s come back into the spotlight because an Oscar-winning movie and a documentary have shared some of the true stories behind it. In those days, black travelers could easily be in danger due to violence fueled by racism. That’s Tracie Gieselman-Holthaus of Missouri State University’s Special Collections and Archives. Irv Logan and his sisters Elizabeth and Jeannie recently donated their collection of family photos and other artifacts from the hotel to the university. She shows me a hotel room registry—it includes the names of the Harlem Globe Trotters. Logan always found it exciting when famous guests would stay at Alberta’s. “I can remember Frankie Lyman and the Teenagers coming there and that was one of the first times that I had experienced anyone close to my age who was in the entertainment industry. And they were from the East coast and so they were totally different than, y’know, the people I had been exposed to,” he said. Logan’s grandmother, Alberta, also set aside space in her hotel for other people to work and earn a living. “Not only did she provide a service to the community, but she also offered opportunities to other members of the community – the minority community – the chance to go into business. So there was a beauty shop, there was a barber shop, and there was the Rumpus Room,” said Logan. And Alberta’s Hotel served as a gathering place. Former Springfield City Councilman Denny Whayne grew up in the area and spent a lot of time there. “Y’know, we just hung out, sometimes sitting on the porch talking. It was just a nice, reserved place for us,” said Whayne. Whayne has a unique tie to the hotel – he was born there. “Well see, originally, that was a city hospital. That’s where I was born. 1945, January the eighth,” said Whayne. In the 50s and 60s, that area was a hub for Springfield’s African American community. Just around the corner was the famous Graham’s Rib Station, owned and operated by James and Zelma Graham. It was a popular dining spot along Route 66. There were seven stone cabins behind the restaurant - the only other place in town where African American travelers could get a room. “The two of them (Mr. Graham and Alberta) used to refer back and forth between them. If Mr. Graham was full and people came, he would refer them to Alberta and vice versa. Alberta would refer them to Mr. Graham if her place was full,” said Logan. “So they had a good working relationship?” asked Balisle. “Absolutely. Because you know, it was really all about the travelers, the people who were coming through. There weren’t many other places where folks could go and be safe that they knew about. And so they just helped each other as best they could. There was enough business to go around, in other words,” said Logan. To say that Alberta Ellis lived a full life would be an understatement. Throughout her adult life, she worked full time at the Southwestern Bell Telephone Company. In addition to this job and the hotel, she owned the Crystal Palace Night Club and a place affectionately known as The Farm. The Farm was located 10 miles west of Springfield on Route 66. It was across the street from a roadside park, where many African American travelers would stop for a meal. Irv Logan says his grandmother would sometimes stay out at The Farm and see people stopping to grab a bite. “She would have me or someone else who was there at The Farm go over and give them a business card and invite them over to have breakfast or dinner or whatever and just kind of know about the place. And that grew into folks using that as a stop also on the road west,” he said. Tracie Gieselman-Holthaus tells me The Farm became the place for parties and celebrations, as well as a reprieve from city life. “It was kind of the gathering spot for everyone. If you wanted to get out of town a little bit, it was my understanding is you could go out to The Farm,” she said. 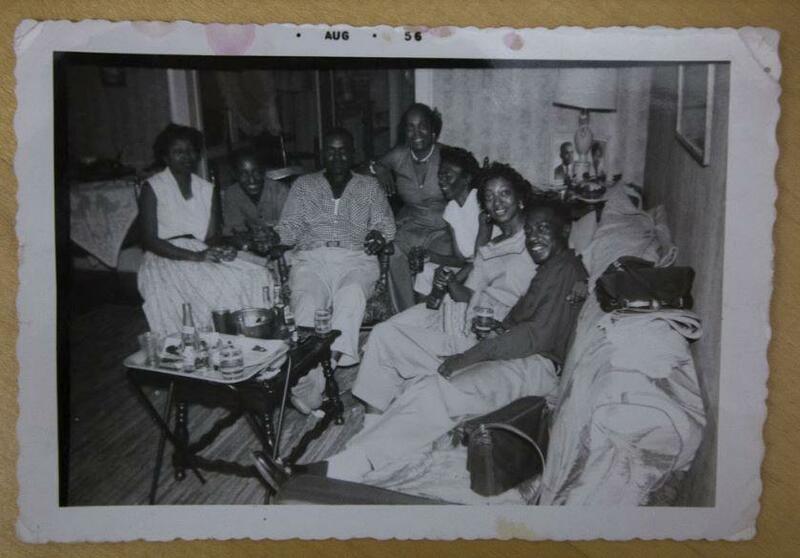 Growing up at the hotel, young Irv Logan learned about the unfairness of segregation. “In 1960, when Alberta’s business was really booming, she got a call and said that Nat King Cole was going to be in Springfield and that he would need accommodations. And he would need meals and all that stuff at the hotel. And I asked my grandmother, ‘Well, why is he coming here?’ And she says, ‘Well, he’s gonna be performing for the Kennedy-Nixon debate that’s scheduled for Springfield,’ up at the, I think the Kentwood Arms at that time. And I says, ‘Well, if he’s going to be playing for them, why does he have to stay here?’ And she said, ‘Well, y’know, that’s the law. He can’t stay there.’ And I didn’t realize what he had already been through in Birmingham, Alabama,” said Logan. Four years earlier, in 1956, Cole had been performing on stage when a group of Ku Klux Klan members rushed the stage and attacked him. Events like this pushed Logan to help start a NAACP Youth College Chapter when he was in school. He says he had both black and white friends join. “We just didn’t see why things were the way they were. Couldn’t understand that. ‘What’s wrong with these folks now?’ We’re going to school together, we’re playing on these teams together and all that, but we when we get out of school and we want to go and go to the show together, we can’t do it, y’know. When we get to the theater, we gotta go upstairs or through the back door or side door and y’know, our white classmates get to right straight through the front door. And so, quickly the kids realized like, ‘This is really stupid,’ y’know. “Change comes from below. And it comes from, y’know, common people doing the right thing. And basically, that’s what our classmates did back then. We had a desire to see things change and to see everyone be treated the same,” said Logan. The group protested the laws that kept African Americans from staying at most white establishments. “And I remember Alberta sitting with me when it was all said and done and she said, ‘You know, you’re doing it for the right reason, but it’s going to cost you personally.’ I says, ‘What do you mean?’ She says, ‘All that we work for here will be gone, because when integration comes and people are able to go wherever they want to go and spend their money wherever they want to spend their money, they’ll go to new places, different places, y’know. And, so, it’ll affect all of this.’ And it hadn’t occurred to me, y’know, as a youth, that in fact, that’s exactly what happened. But it didn’t just happen to Alberta and her business. It happened all across the country,” said Logan. Finally, in 1964, The Civil Rights Act passed, ending the so-called “separate but equal” rule—and by 1965, the hotel had closed. Lyle Foster is working with the Springfield Greene County African American Heritage Trail to get a historic marker placed at the site of Alberta’s Hotel. “We’re very pleased to announce, that with the national attention given to Alberta’s Hotel, that’s going to actually be in our next four markers that we’re going to actually have fabricated and installed. So the plan is by early summer, we’ll actually have one of the heritage markers in front of the former site of Alberta’s Hotel,” he said. The African American Heritage Trail will eventually link several sites together that are within walking distance of each other, Foster says. “So we’re hoping it will be a family-activity. So, you’ll go to Alberta’s Hotel and then you might say, ‘Let’s go to Jones Ally, let’s go to one of the church square sites,’ because all of those sites are very close together because, y’know, in that period of time the African American community was fairly tight-knit,” said Foster. Alberta’s legacy will continue to run strong in Springfield. Her grandson, Irv Logan, remembers her fondly. “She was a very friendly person. I never saw her angry or upset. And she was joyful. She was always a happy person. And very very, um, but she was very firm in the way that she handled her business. You know, she was just a straight businesswoman,” said Logan. For KSMU’s Sense of Place, I’m Jess Balisle.